Description: DecoArt Craft Twinkles Writers are acrylic paints loaded with flakes of bright, shiny glitter. You can use this beautiful glitter paint on holiday paper crafts, wood, ceramic, plaster, resin, papier mache, foam virtually any craft surface. Bottle comes with a writer tip for making lines, swirls, monograms and creating other decorating techniques. Non-toxic. 2 oz. Christmas Red. See more DecoArt Craft Twinkles Paint. 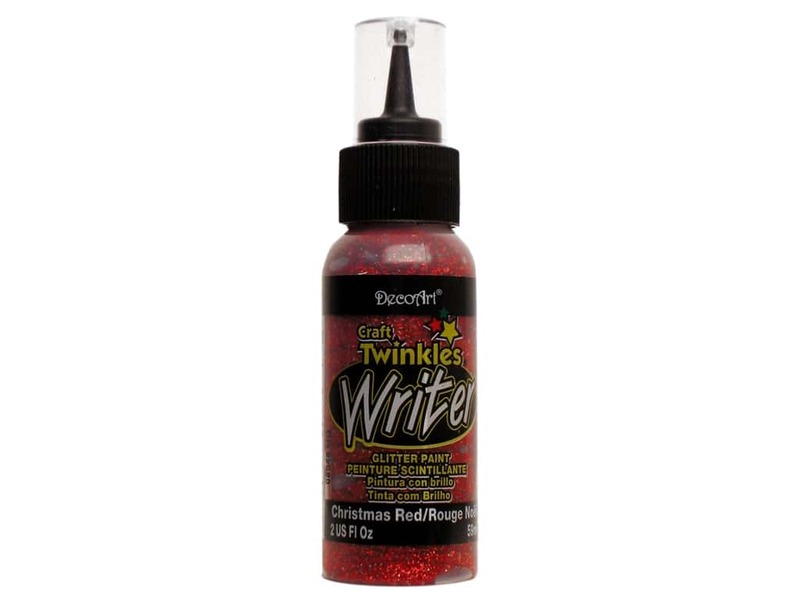 DecoArt Craft Twinkles Writer 2 oz. Christmas Red -- CreateForLess 5.00 out of 5 based on 1 ratings. 1 user reviews.